The only personality assessment that identifies derailers. Core Competencies for Emerging Leadership. Featuring the foremost minds in personality psychology and business, The Science of Personality explores what personality is, how it affects our lives and the lives of those around us. Who you are, your personality, determines what you do. Hogan’s assessments are the most powerful measures of personality on the market; getting certified is an important step toward getting the most out of your assessment solution. People don’t always fit in a box. Our assessments offer the range of measurement required to understand people’s strengths, weaknesses, values, and approach to problem solving. As pioneers in industrial-organizational psychology and personality assessment, Drs. Joyce and Robert Hogan were the first to prove personality predicts performance. 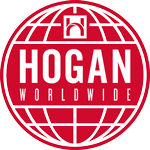 Today, Hogan maintains the largest and best-regarded thought leadership in the industry. We are advancing the science of personality. When competent leadership prevails, people and companies prosper. But more than 60% of leaders fail, and it costs organizations dearly. Hogan leads the world in personality assessment and leadership development. With products and services in 56 countries and 47 languages, what began as a small startup has evolved into the industry leader serving more than half of the Fortune 500. Our footprint spans the globe. Powered by more than 40 years of scientific research and validation, Hogan’s personality assessments help you hire the right people, develop your employees, and build the strong leaders your organization needs to thrive. To ensure appropriate and consistent application of our assessment tools, Hogan provides a comprehensive certification process that empowers users with the expertise and resources needed to interpret the Hogan personality profiles. That’s why we created Hogan Certification Programs. Drs. Joyce and Robert Hogan were the first to prove that personality predicts workplace performance by helping businesses dramatically reduce turnover and increase productivity by hiring the right people, developing key talent, and evaluating leadership potential. Thirty years later, our assessments are used at some of the most powerful companies in the world. People are stressed. Especially at work. Between demanding bosses, pressing deadlines, or mind-numbing monotony, the working world is full of stressors. The problem is, the way you act when the pressure is on could be wrecking your reputation, and, subsequently, your career. The Hogan Development Survey (HDS) is the only personality assessment, validated in the workplace, that identifies career derailers. A pioneer in the personality assessment industry, Hogan remains one of the few privately-operated assessment publishers in the world. Drs. Joyce and Robert Hogan dedicated their careers to the advancement of personality assessment. Their commitment to scientific research and development of leading-edge personality assessments is a fundamental part of our culture. In more than 30 years of history, Hogan remains committed to advancing the science of personality through thought leadership. Organizations depend on leaders to make important tactical decisions, manage changing market trends, and set strategic vision. When competent leadership prevails, people and companies prosper. Bad leadership is almost always accompanied by disengaged workers, corporate corruption, and, eventually, business failure. Hogan gives leaders a clear understanding of their performance capabilities, challenges, and core drivers, and provides them the strategic self-awareness that makes good leaders great. Hogan remains an industry leader because of our bold, swing-for-the-fence mentality. Hogan stands alone as the last of the true independents. We’re going to do it our way. We’re in this to make a difference. We’re dedicated to playing a vital role to the business community on a local, national, and global level, and we want to share our story with you. Connect with us through social media, or send us a message to learn more about Hogan or becoming a part of our team.